This is a list of things to do in Milan with kids. Milan is such an underrated city when it comes to Italian cities to visit with kids! Yes, Milan is known for fashion, education, and delicious cuisine but it is also an urban playground for kids and adults alike! 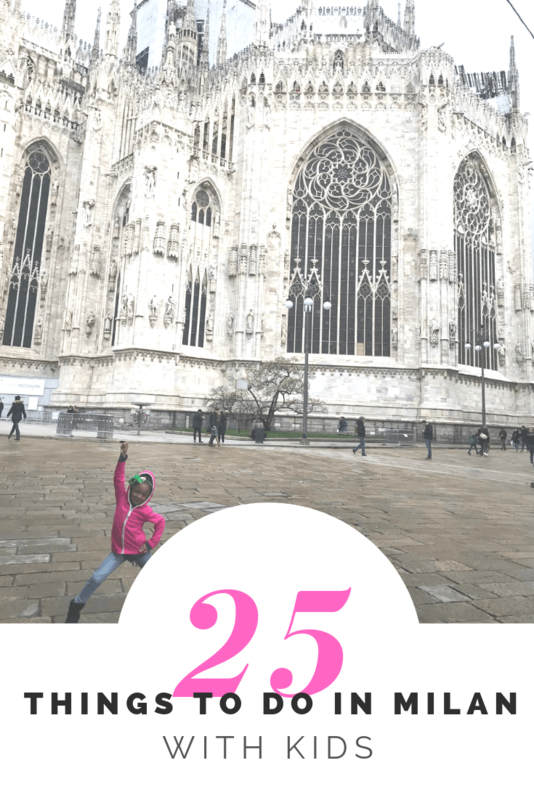 Here is a list of 25 things to do with kids in Milan! 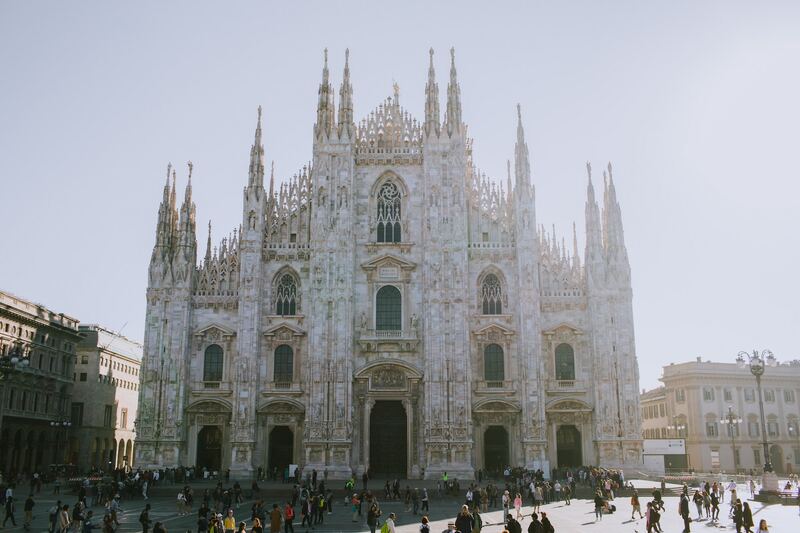 Easily the most iconic monument of Milan, the Duomo [and its surrounding piazza] should be the very first stop when looking for things to do with kids in Milan. It is the largest church in Italy [St. Peter’s Basilica in the Vatican is technically considered a country unto itself] and is filled with historical artwork, monuments and just plain cool stuff. This is the main part of the Duomo di Milano Complex and what most people envision when you say Duomo. With 3400 statues, 135 gargoyles, and 700 statuettes, it is truly a sight to see! There are also stained glass windows, ornately decorated altars, and so much more! The Crypt of St. Charles is also in the cathedral. If you only have time to visit one part of the Duomo with kids, this would be it! The Santa Maria Annunciata in Camposanto Church is actually located in the building behind the Duomo Cathedral. While outwardly not as impressive as the cathedral, it is still beautiful in its own right and a wonderful thing to do with kids in Milan. It is also an active church and regularly conducts church services here. The St. Stefano Baptistery, on the other hand, is located within the Duomo and was the former residence of a bishop. It is also where a lot of folks were baptized back in the day and has a ton of religious history behind it. The Duomo Museum is worth a visit all to itself. The 26 room museum contains artwork original to the Duomo arranged in chronological order — from construction to close to present day. The San Gottardo in Corte Church is a quaint church located within the Duomo di Milano Complex. Compared to the main cathedral, it can be considered quite plain. However, admission is included with entry to the museum so it is worth the look if time allows. Located beneath the Duomo Cathedral, this area displays ancient artifacts, underground excavations, a baptismal font, and more. While I don’t consider it particularly scary, the lighting is dim and might not be every kids’ cup of tea. The view from the roof is easily the most exciting part of visiting the Duomo. The exterior of the building is covered in statuettes — some historical and some kind of silly. There is also a golden statue of the virgin Madonna near the main spire. The highlight though? The absolutely jaw dropping view of the city! The Duomo offers both an elevator and stair option to get to the top of the building. If you’re visiting the Duomo di Milano rooftop with kids, it’s probably best to take the lift. Kids under 6 are always free [YAY! ]; Military personnel in uniform are also free. You can also visit Santa Maria Annunciata in Camposanto Church & St. Steffano Baptistery for free. For everyone/everything else, prices range from 3 Euros – 13 Euros depending on what you’d like to see. Get more information on their official website here. It’s crowded – at all times – but worth the wait! Pack your patience [with the crowd and the kiddos!]. If you decide to visit the terraces, there is a lift to take you to the main level of the terraces. However, some of the other levels to the terrace require you to climb stairs. Food, drinks, luggage, and glass containers are not allowed inside the building. They stop admission 50 minutes before closing time so arrive early. 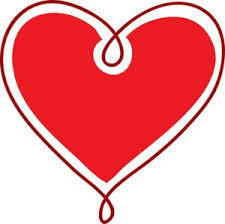 Above all else, it is a Christian church so there is a dress code. Exposed shoulders and knees are not allowed. They also have other visitor guidelines including a time limit for your visit. Information on their regulations can be found here. If you want to avoid the melee and skip going inside the Duomo di Milano Monumental Complex, it is still worth seeing from the outside! You can also feed the many [many] birds in the piazza a la Venice style! 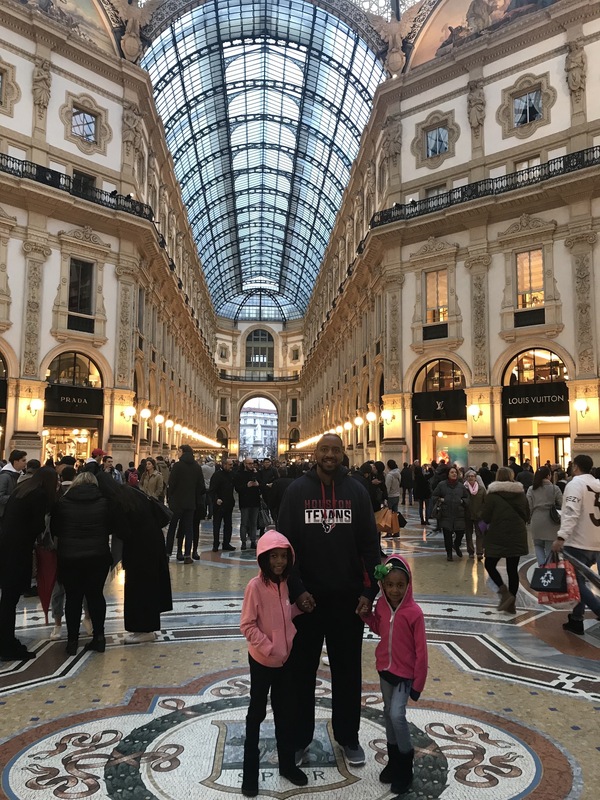 The Galleria Vittorio Emanuele II is an outdoor shopping center mostly known for its high end luxury stores but it can be fun for the kiddos too! It is the oldest active shopping mall in Italy and its history is apparent all around. First things first — find your way to the middle of the mall. Looking down, there are four coat of arms representing Milan and the three Kingdoms of Italy [Turin, Florence, and Rome]. Have the kids stand on the testicles of the bull and spin three times; legends say it will bring you good luck. Looking up, there are beautifully drawn murals showing the major continents contributing to the area at the time: America, Asia, Europe, and Africa. 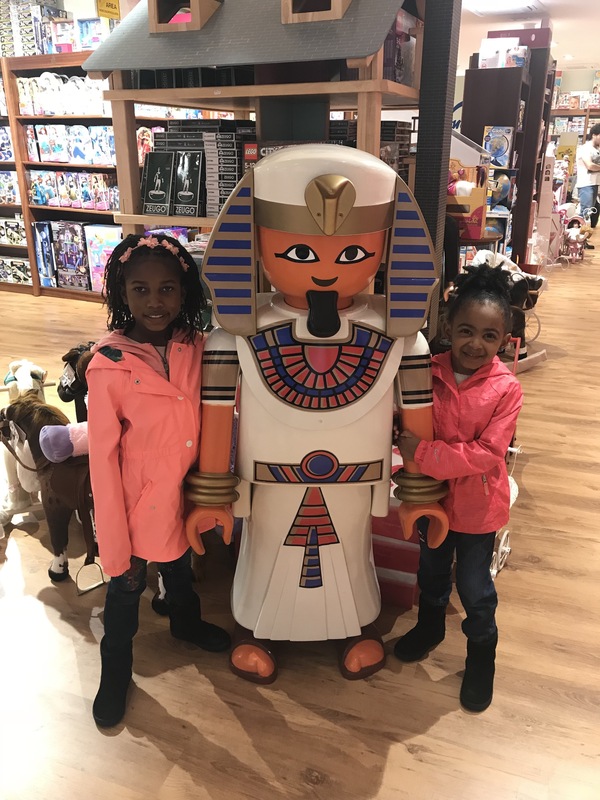 Looking around, you will find a ton of stores — not all of which are high-end — with plenty to see and touch with kids. Don’t forget to stop at the bookstore — they have a large selection of kids books in Italian! 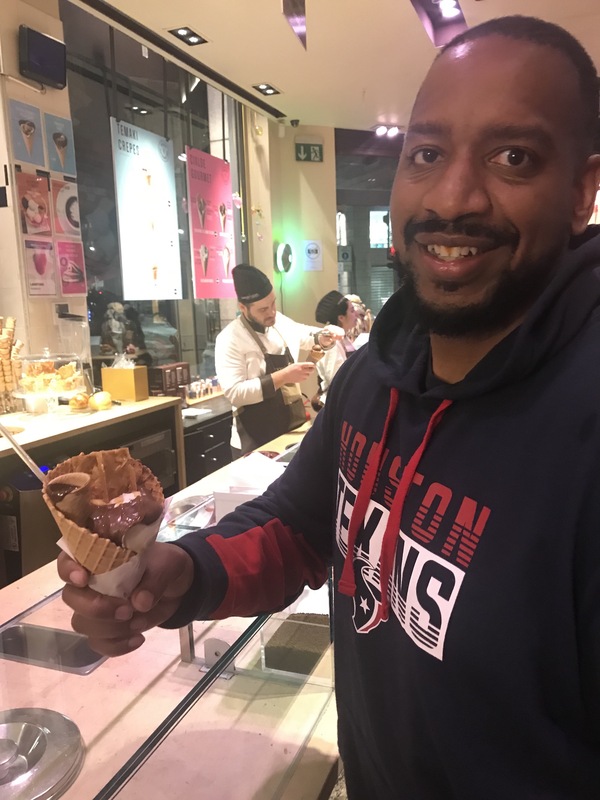 While you’re there, grab a bite to eat at one of the many restaurants in the Galleria Vittorio Emanuele II! They have everything from sit down restaurants to a McDonald’s. Peek into the department stores too. Many of them like La Rinascente have food markets inside. Did you know there is a real life palace located right in the middle of Milan? Ok, you won’t find any kings or queens inside but this historical landmark was the seat of the Italian government for centuries. Now it serves as a cultural center with stunning artwork and rotational exhibits. They offer guided tours but you can also just pop in and explore on your own. Kids under 6 are free, kids ages 6-14 are 6 Euros and adults are 10-12 Euros with a family ticket. When visiting Milan with kids, The Royal Palace of Milan is probably better suited to older children/teenagers but all ages are welcome. 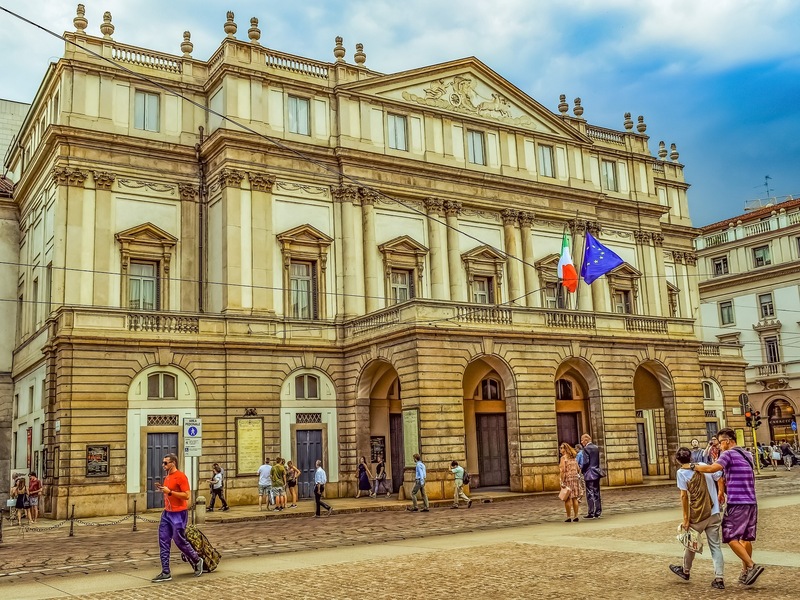 Teatro alla Scalla or La Scala is an opera house located a block away from the Galleria Vittorio Emanuele II. I know what you’re thinking — kids don’t want to see an opera house. Right? Wrong! The building went under a major renovation from 2002-2004 and is an absolutely beautiful building. The friendly folks at NH Collection Milano President said that if they are not having a show, they will let visitors walk through the building for free. The real kicker for kids in Milan, they also have a dedicated show line up specifically for kids. Kids under 18 can see the show for a whopping 1 Euro! Adults [who can only purchase a ticket of accompanied by a kid] can also get a ticket ranging from 5-40 Euros. There’s also a pretty decent museum inside the theater with exhibits related to the operate house itself. They also have a gift shop and a cafeteria inside. Side note: the Museo Teatrala alla Scala is very committed to accessibility and have made the entire museum completely accessible friendly. Disabled visitors can also enter for free with a companion. You can get more information here. 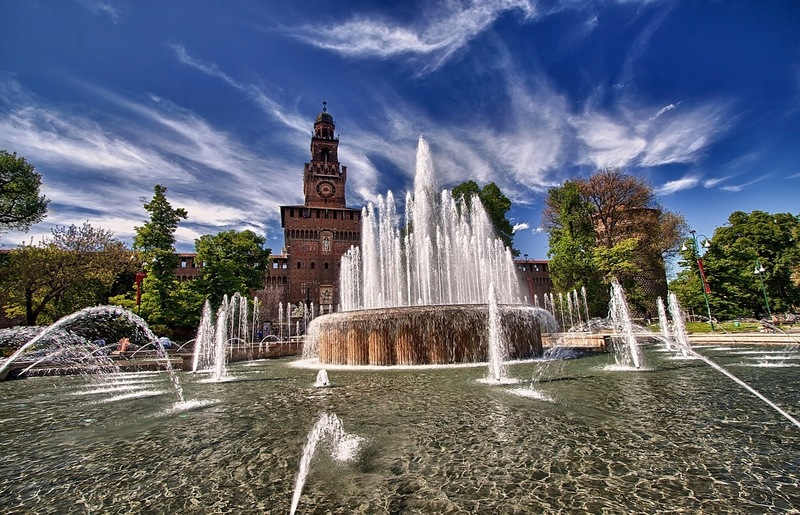 So much of Milan is very modern; Castello Sforzeco is a wonderful ode to traditional Italian monuments. This super large fortress is located in the middle of the city and has several museums with artwork and historical artifacts making it perfect for visiting Milan with kids. Admission for kids under 18 is free and super inexpensive for adults [3-5 Euros]. They also have monthly programming dedicated just to families! If you don’t want to go inside, Sforzeco Castle is adjacent to Parco Sempione – the largest city park in Milan. You can bike, hike, have a picnic, listen to street performers, buy ice cream or just plain walk around. You can also scale Torre Branca for a birds eye view of the city. Either way, it makes a wonderful afternoon when looking for things to do in Milan with kids! Aquariums are guaranteed to please kids in Milan of all ages! While this isn’t the largest aquarium in the world [or even in Europe] they have several exhibits and over 100 types of underwater life. It is an easy way to kill at least an hour in Milan! Kids under 18 and adults over 65 are free every Tuesday after 2pm and the first Sunday of every month; otherwise, admission is 5 Euros. Why not spend the afternoon letting the kids explore in a kitchen making their own Italian style meal? 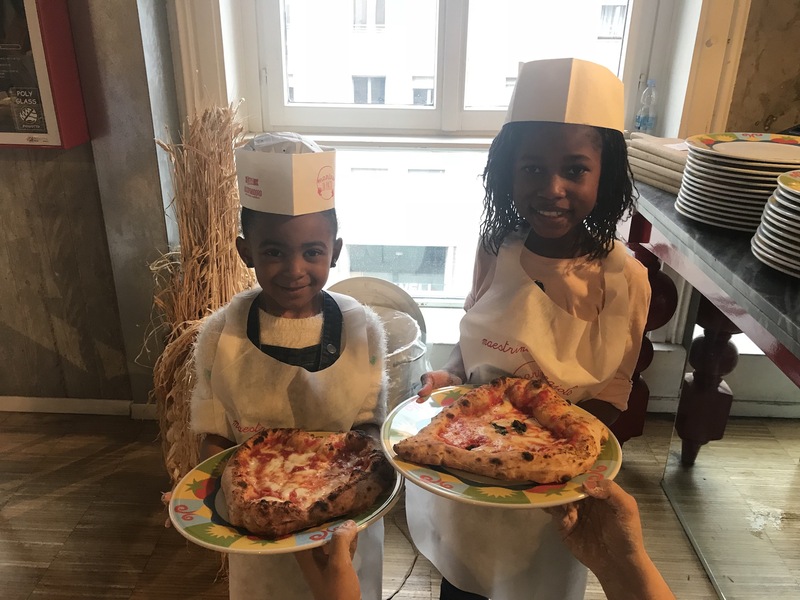 Learning to make pizza and pasta with the kiddos is such a fun thing to do with kids in Milan! Plus, it’s delicious! There are a few options for kids cooking classes in Milan but you can find a complete list here. If anyone has an interest in planets and the stars [or even if you don’t], the Planetarium of Milan is a great thing to do in Milan with kids! It is the largest planetarium in Italy and is chockfull of activities for families and kids. They even have a young astronomer club! Kids up to 18 and adults over 65 are 3 Euros while everyone else is 5 Euros. If you are considered disabled, admission is free. The Natural History Museum [or Museio Civico di Storia Naturale is the largest civic museum in Italy and an educational playground for kids and adults alike! It’s also a great way to spend the afternoon when it is hot or rainy. Kids under 18 are free [YAY!] and adults are only 5 Euros. It’s a little known fact that Milan has some of the coolest old school toy stores in the world! The most popular one, Nano Bleu, is actually a few blocks from the Duomo – right in the heart of the city. Buy your kid some one of a kind toys and earn the cool points of the century! For such a sprawling metropolitan, Milan actually has a pretty decent number of parks for kids to play, run around, and burn off some energy. Indro Montanelli Public Gardens is one of them! Located adjacent to the Natural History Museum and Planetarium, this inner city park has fountains, playgrounds, and tons of shade. The Museum of Science and Technology is the largest science themed museum in Italy and one of the largest in all of Europe. It prides itself on being an interactive experience; visitors can perform experiments in labs, participate in educational workshops, visit exhibition areas, and so much more. Kids under 3 are free but everyone aged 3-26 [or over 65] can get into the museum for only 7.50 Euros. Everyone else is only 10 Euros. Yep, Milan has a children’s museum! MUBA is definitely geared towards younger kids [aged 6 and younger] but they have some activities for kids up to age 12. They have everything from magnetic walls and color rooms to family shows and parties. Be sure to book your tickets online before you go! Sidenote: I absolutely LOVE their mission statement “MUBA is a Foundation, regionally recognized and no-profit, whose purpose is to create and promote cultural expressions aiming at encouraging stereotype-free creative thought in children and prepare them for a society which requires greater and greater creative attitudes. ” You go, MUBA! 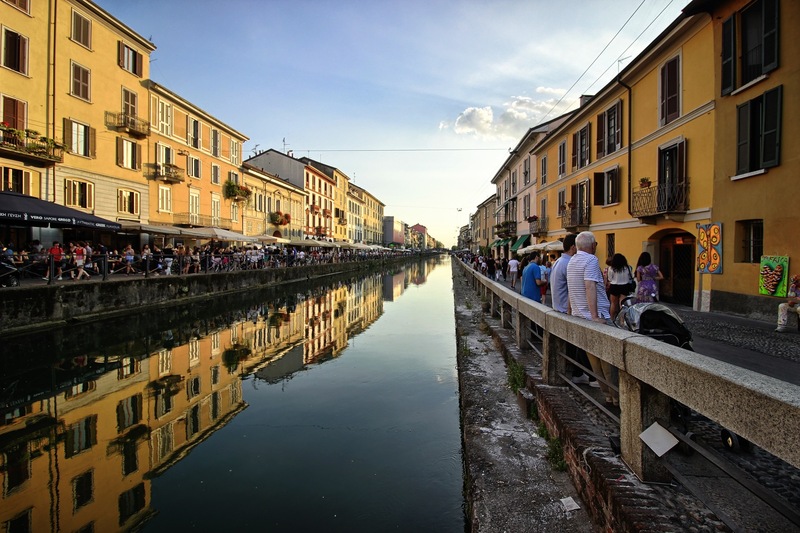 Naviglio Grande is the first of a large canal system that runs through the city of Milan. Some compare it to the canals of Amsterdam but it is a league all its own! If in this area and looking for things to do with kids in Milan, you can take a boat tour, have a scavenger hunt, shop at some boutiques, or just take in the sights. Despite the name, this little jewel is actually a book store but it the material available for sale is 100% dedicated to children. Browse the aisles, pick out a few good books, and take home an educational souvenir! 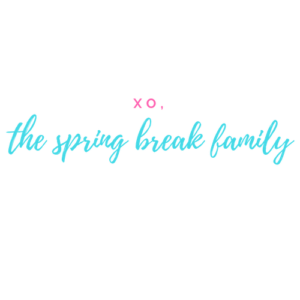 They also often have workshops for kids, book readings by authors, and even parties! Imagine a store filled to the brim with candy and delightful treats and you’ve got the OD Store! From chocolates to candies or breads to pastries, if it is a sweet treat the OD store has it. Parents, prepare your wallets to receive the brunt of the damage but the joy on your kids’ faces as they browse aisle after aisle of brightly colored delights is worth it, right? 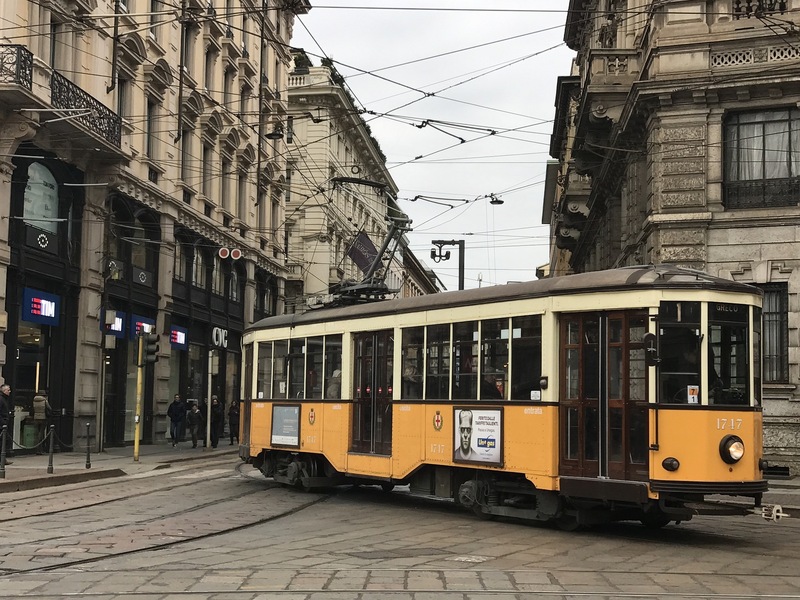 Not many cities have a working old school tram system in place so there is a little nostalgia when riding the Milan city tram. Get a 24 hour pass for 4.50 Euro at any of the metro stations and ride it all over the city. Not only do your kids get to ride on a “choo-choo” but you can sight see without killing your feet! Italians love their futbol! 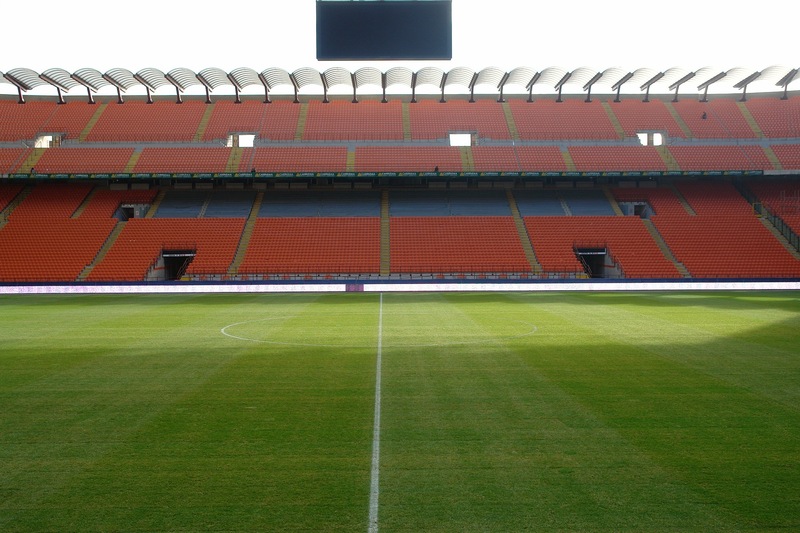 And when in Milan do as the Milanese do and catch a soccer game! This one is obviously dependent on the season you visit but if you’re in the city at the right time, take the kids to a soccer game!. Ticket prices vary depending on the game and where you sit so be sure to check their website. When looking for things to do in Milan with kids, can you really beat an amusement park with 6 themed areas and 40 attractions? Spoiler alert: you can’t :) Kids can meet cartoon characters, watch magic shows, board a pirate ship, and so much more! Leolandia is located in Capriate San Gervasio, right outside Milan. The park offers an inexpensive shuttle that will pick you up and drop you off in Milan. A dinosaur themed amusement park = a win for things to do in Milan with kids! Imagine Jurassic Park [but without the DNA experiments and massacres] and you’ve got the Prehistory Park. This gem is located a little outside the city and is a complete step back in time. They explain everything from prehistoric dinosaurs to cave men. There is also a zoology park with tiny horses and a botany park to learn more about plants. Kids aged 3-13 are 9 Euros while everyone else is 12 Euros. If you’re looking for things to do in Milan with kids and amusement park rides are your thing, then Europark Milan is the perfect place for you! They have everything from bumper cars and ferris wheels to “crazy houses” and roller coasters. There is something for kids of all ages! Visitors have the option of purchasing a wristband or paying per ride so you’re sure to get your money’s worth. Europark Milan is located on the edge of the city and reviews state it is hard to hail a taxi back so be sure to ask an employee to call one for you if needed. This special little Milano gem is a kids only park in the middle of Milan. Yep, you read that right — kids only! You are required to be a child or be accompanied by a child to gain entrance. The are is guarded to ensure it stays that way! For parents that means a safe, kid friendly urban oasis for their children to play. Kids can enjoy the duck pond, play at the playground, or engage the local children in a game of futbol! Okay, this isn’t a monument. Or a museum. Or a park. But it is a BLAST! Zero Gravity trampoline park is truly one of a kind in Italy and is a great respite on a rainy or hot day. It is a little pricey so prepare yourself! Everyone [yes, even the kiddos] is 10 Euros per person for the first hour and then 8 Euros for each subsequent hour. You will also have to purchase a membership card for an additional 5 Euros. Mmmm, chocolate! What kid doesn’t like chocolate or gelato [or a combination of the two]? When looking for [delicious] things to do in Milan with kids, look no further than Cioccolati Italiani! This sweet chocolatier shop literally has fountains with different types of chocolate. There’s also nutella, caramel, waffles, crepes, marshmallows and so much more! Want to see all the sights in the city with a tour guide who can point out all the small things you might not know? Want the tour to be kid friendly? And want them to do it for free? Well you and the kids are in luck! Frog Walking Tour gives free tours of the city. Free! The tours are run by volunteers who have taken the time to become experts on the ins and outs of the city. They do appreciate tips though so be generous. The tours are usually 2-3 hours long so make sure everyone has comfortable shoes. Have you been to Milan? Let us know in the comments if you have any recommendations on things to do with kids in Milan! 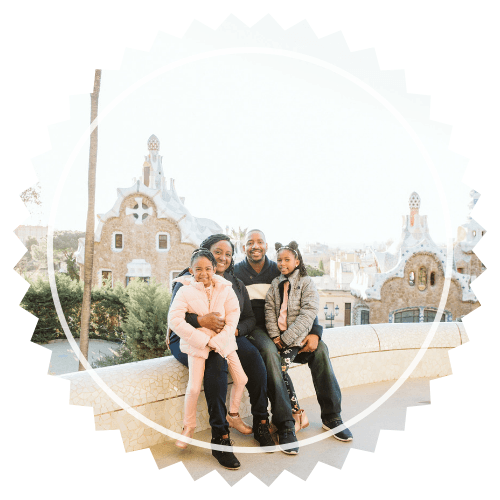 I know a lot of people who have a hard time traveling with their kids. I love that you go out with your kids and let them experience the world. About Cioccolati Italiani though, what flavor would you recommend? I love chocolate but I have a hard time choosing flavors especially with a restaurant that offers a lot of choices. 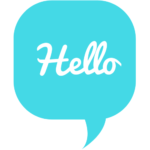 Hi, Katie! Thank you so much for the kind words! And totally understand the indecisiveness with picking a flavor! Wouldn’t it be nice if every place had like a sampler where you could get one of everything? Luckily, I can make my husband and kids get different flavors so I can taste each of theirs :) My favorite was the caramel and white chocolate.